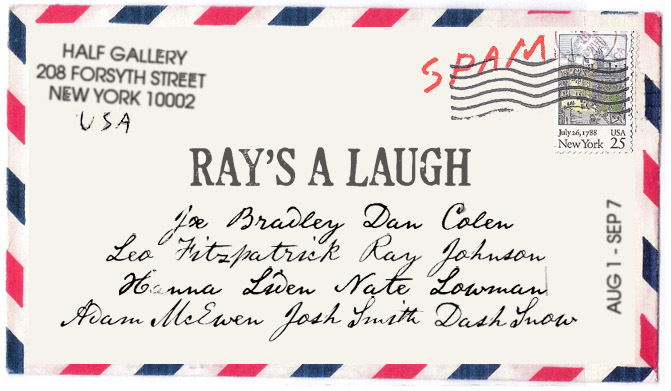 Artists respond to the work of Ray Johnson in a group show. Hanna Liden, Nate Lowman, Adam McEwen, Josh Smith and Dash Snow. Reception: Monday, August 1, 6-8 p.m.